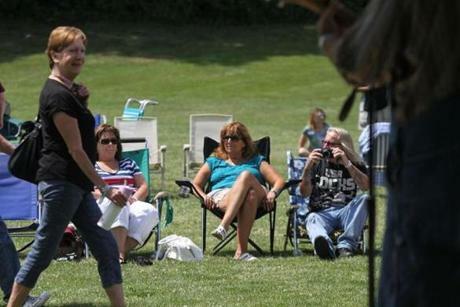 People of all ages turned out for the first-ever all-town Rockport Reunion held on Saturday, July 5, at Evans Field baseball park. 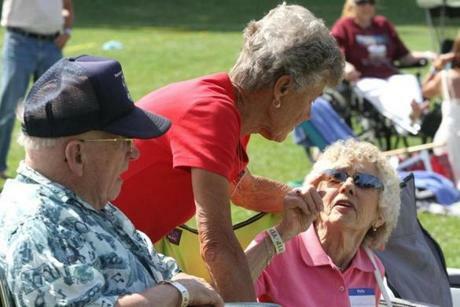 Siblings Bill Brewry, class of 1947, Jean Cameron, class of 1940, and Margaret Jerome, class of 1950, enjoyed the Rockport Reunion. 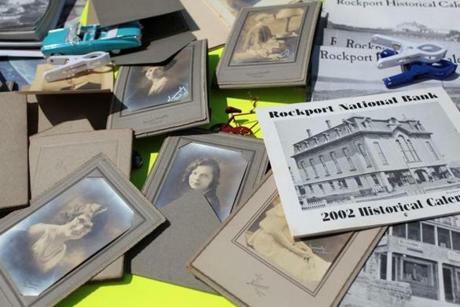 Old class photos, booklets and other items were available for free for those who knew any of the people in the photos. 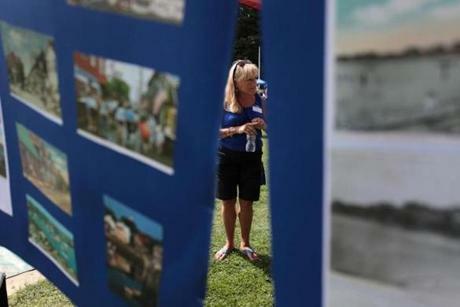 Mike Boucher, class of 1981, and his wife, Janine, look over old newspaper clippings and photos from Rockport High School classes through the years. 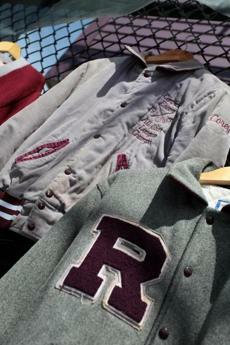 Old class jackets and other items were among the items on display during the reunion. 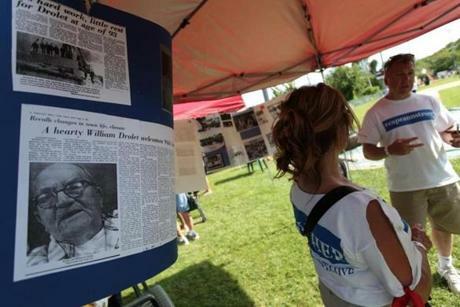 Gretchen Orr Contrino, class of 1966, looks over old newspaper clippings and photos from Rockport High School classes. 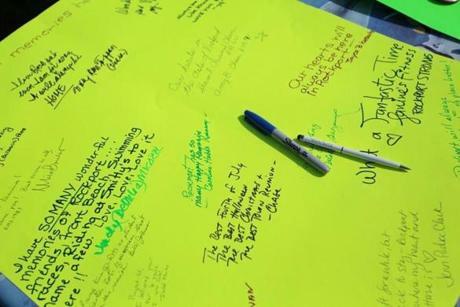 As many as 2,000 people showed up for the event throughout the day, many of them leaving messages. 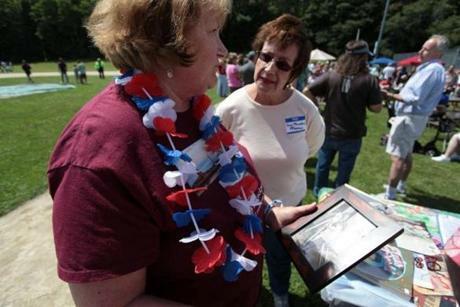 Judy Harris (left) class of 1966 speaks with long time friend, Jane Thompson as they look over a photo of Judy from 1952.